Hannah joined the firm in 2010 and became Special Counsel in 2017. She holds a Bachelor of Laws and a Bachelor of Business with honours. Hannah’s areas of expertise include General insurance litigation; Personal injury and torts law; Public liability, product liability and professional indemnity; Coronial inquests; and Insurance advice including policy and indemnity advice. Hannah is an experienced litigator and acts for government departments, insurers and self-insurers, municipal councils, committees of management, large retailers, venue managers, occupiers, host employers and corporate clients in the Magistrates’ Court, County Court, Supreme Court and Court of Appeal in their defence of various claims including class actions, catastrophic injury claims, general public liability claims, claims arising from sexual abuse and bullying, professional indemnity claims, product liability claims and statutory recovery actions. 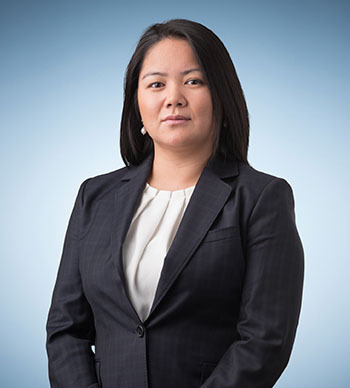 Hannah also has experience in representing interested parties in coronial inquests, bringing and defending claims pursuant to s369 of the Workplace Injury Rehabilitation and Compensation Act 2013 and advising on insurance and risk management strategies, indemnity issues, policy wordings and coverage, insurance and indemnity clauses. Hannah has previous experience as an insurance advisor at a State government department and as a claims manager at a third party claims administrator so she understands the need to handle litigation in an efficient and cost effective manner, reserve accurately and manage the competing needs of various stakeholders. Hannah also undertakes pro bono work at Thomson Geer. Acting on behalf of a municipal council in a coronial inquest into the death of a young girl who was struck by a falling tree. Acting on behalf of a government department in a class action related to childhood sexual abuse. Acting on behalf of a venue manager in its defence of a claim arising out of an assault by security guards. Acting on behalf of a volunteer committee of management and successfully defending a claim brought pursuant to s138 of the Accident Compensation Act. Acting on behalf of a national retailer to successfully recover benefits paid to and on behalf of a worker from a third party.